Click on CELEBRITY CAFE.com icon for a recent review. Have you ever had to call your own "misplaced" cell phone to find it? Or ran late for an appointment because you couldn't find your car keys or sun glasses? That's exactly why the PUP, the first unisex designed wearable organizer was created. The PUP solves the universal problem of where to keep your daily necessities in one convenient place.? 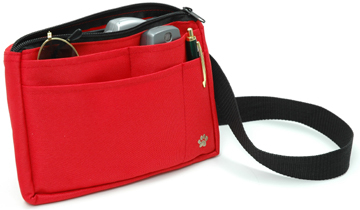 The PUP feautres pouches and pockets to organize your multiple high tech devices; cell phone, iPod, Smartphone and camera as well as wallet, keys and glasses. Tired of clipping items to your belt? 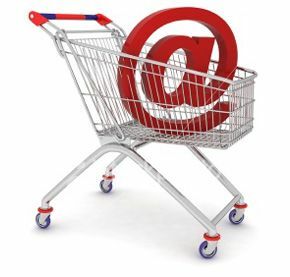 Everything you need ends up at the bottom of your purse or under the seat of your car? If you can relate to any of the above situations, you're going to love the PUP. Under $19.95 ORDER NOW! Four (4) open pouches for convenience. Two (2) zippered pockets for security. Strap adjusts from 18" to 54". Versatile design - Wear it three (3) different ways. Measures 8 1/2" x 6 1/2". The PUP lays flat against the body and can be hidden under an over shirt or jacket. Machine washable in eight (8) colors. NEW The giZmo bag is an ideal accesory to hold the new digital books such as Kindle, Sony e-readers and many other brands. 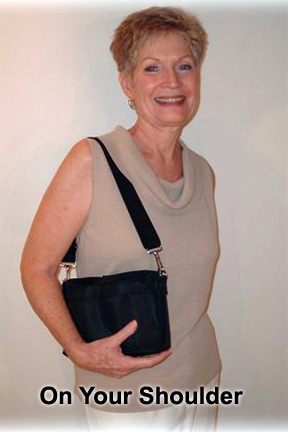 The giZmo or Z bag is 20% larger than the PUP and has detachable straps (adjustable from 32" to 54"). 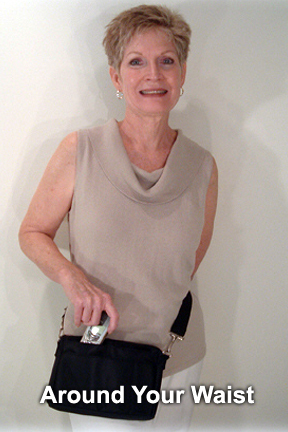 Like the PUP, the Z bag can be worn three (3) different ways: across the chest, around the waist, or over the shoulder. 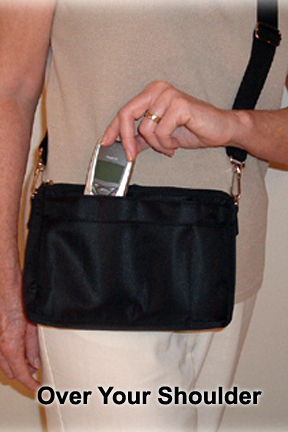 The Z bag, available in three (3) colors, has a unique feature - you can "lock" your zippers, by placing the zipper pull into the strap clasp the Z bag instantly become a pick-pocket deterrent. See the PUP around the world. See the Charities we support.